We are currently in the process of building a new website. Please visit our Facebook page at www.facebook.com/azgspr to see our available dogs and dogs currently in foster care! We're a small and extremely busy organization staffed entirely by volunteers, so please be patient. 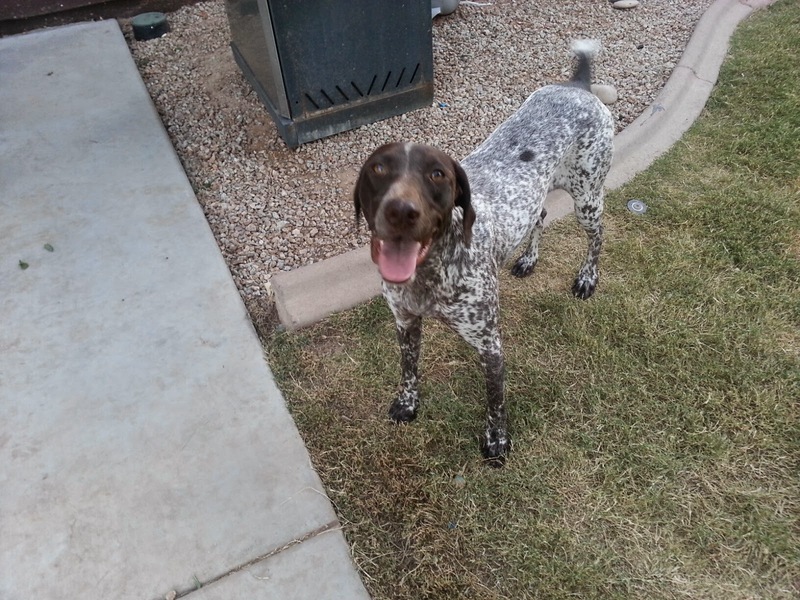 Chester is a stunning 4 year old male purebred German shorthaired pointer who is looking for a foster home in Arizona so he can head down here from Utah (hopefully the weekend of December 5th/6th/7th). You can read more about Chester HERE and if you are interested in fostering or foster-to-adopting this sweet, charming boy please email us at azgspr@gmail.com to request a foster application or call Garnet at 520-334-7171. 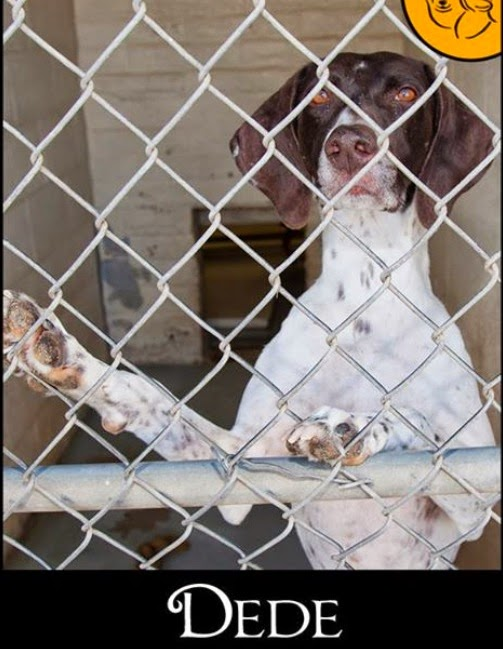 DeeDee (aka DeDe) is a beautiful 4 year old white & liver purebred German shorthaired pointer who will be on her way from the Western AZ Humane Society in Kingman, AZ to Phoenix on Friday November 21st and then travel from Phoenix to her wonderful foster home in Tucson on Saturday November 22nd! DeeDee is a really wonderful gal! 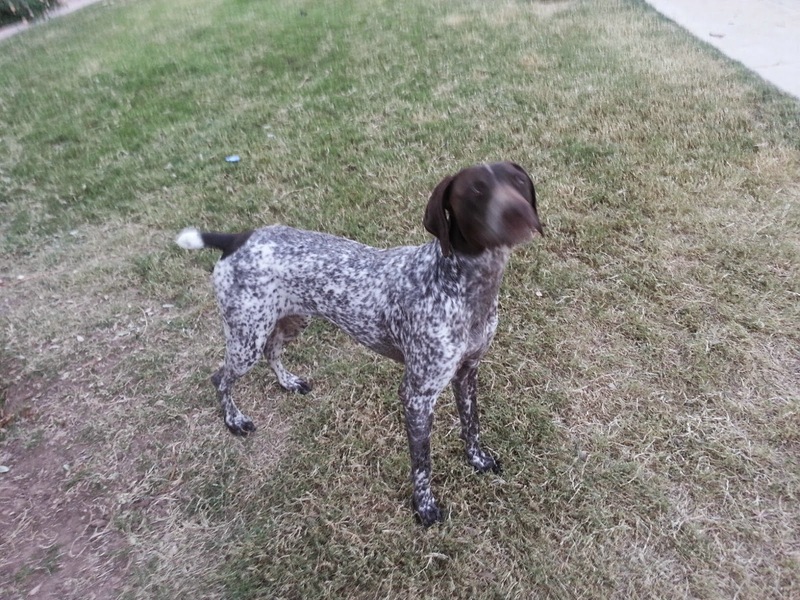 She gets along with other dogs, loves to hunt and swim, and be groomed. 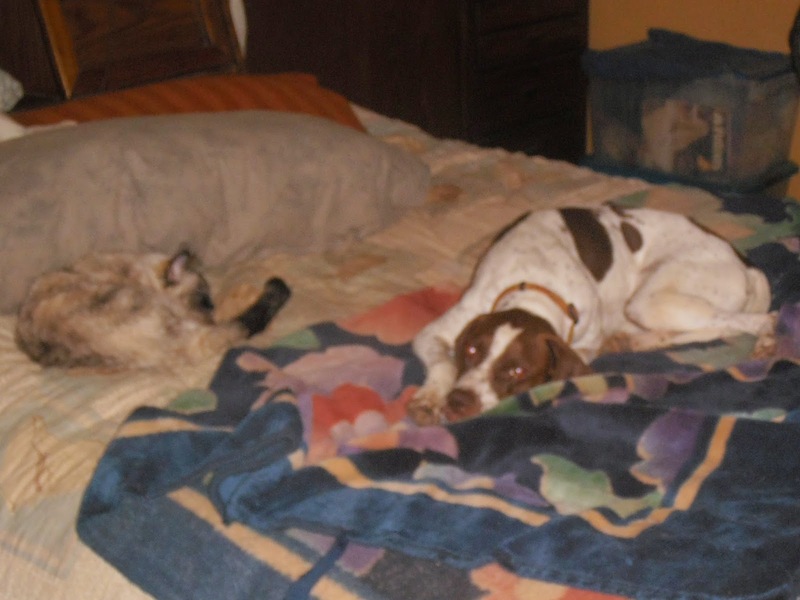 DeeDee isn't good with cats or other small animals and can jump a 4' fence, but is fine with a 6' fence. 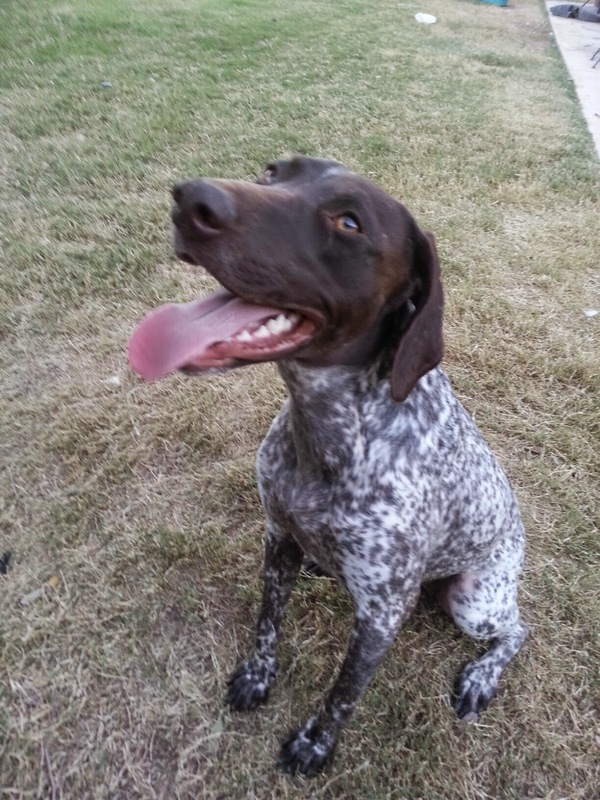 Chai is a gorgeous 1 year old liver and white ticked purebred German shorthaired pointer looking for a new home! She's playful, affectionate, and very energetic! 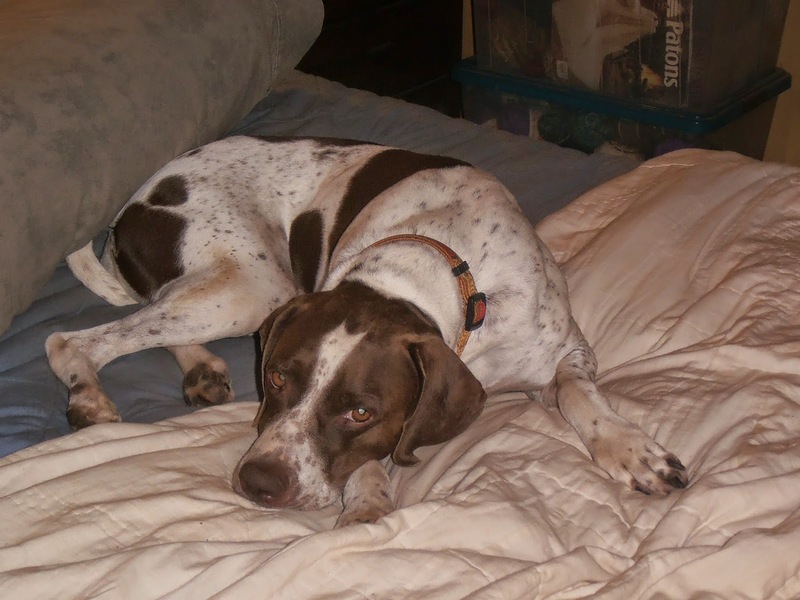 Chai is spayed, fully vaccinated, micro-chipped, housebroken, and crate trained. 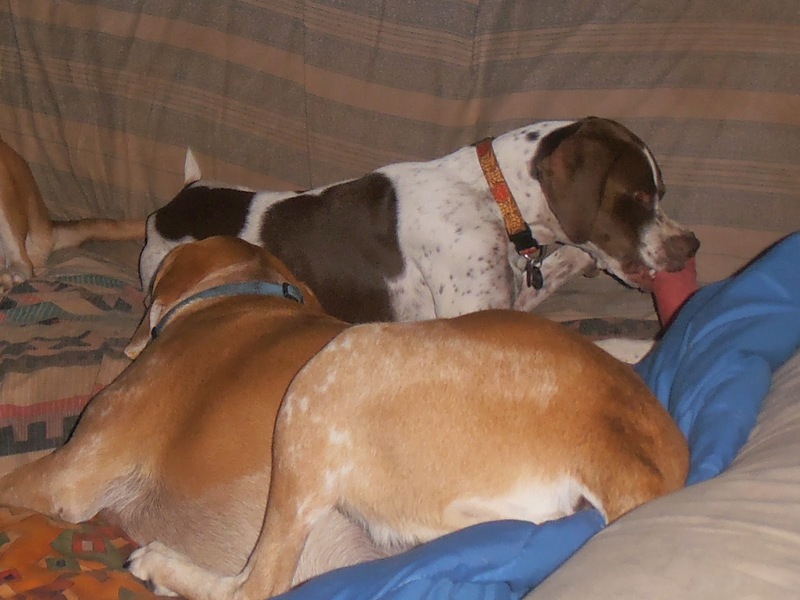 She is good with young children, but prefers the company of boy dogs and can be bossy with females. 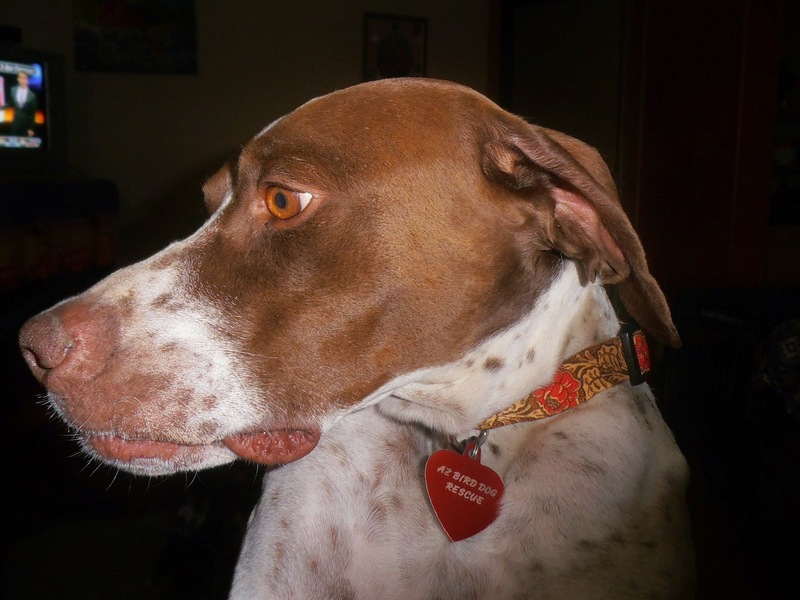 Chai is available for adoption; you can view her bio HERE. 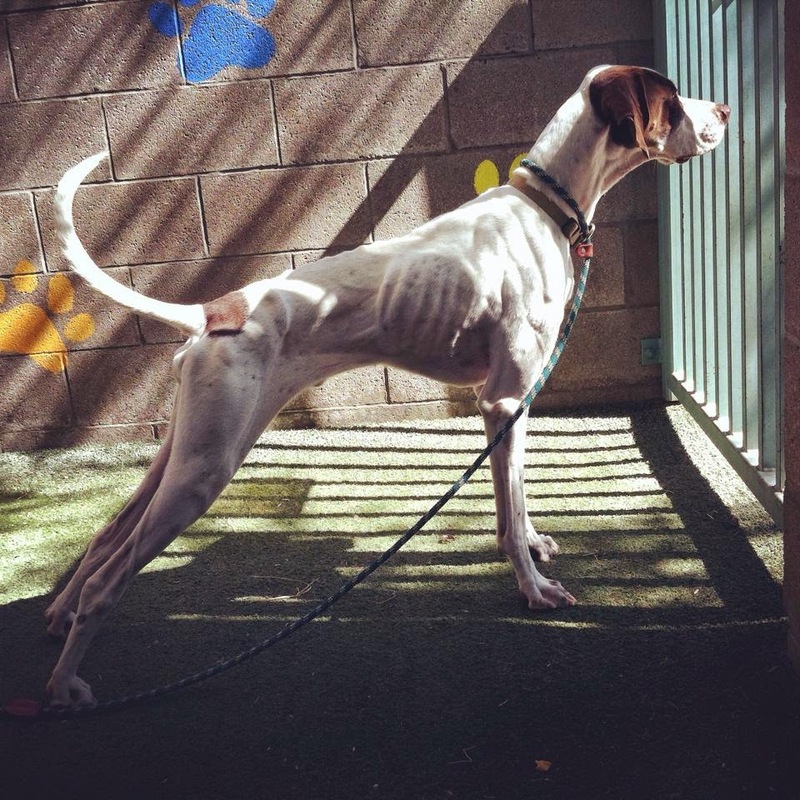 Archer, aka Archie was rescued from the Pima County Animal Care Center (the county pound) weighing only 39 lbs.! During his time as a stray, however long that was, he contracted giardia and lost about a third of his body weight. But Archie is a trooper and he successfully completed treatment, has a good appetite, and has been steadily gaining weight. Archie, when he was at the shelter. 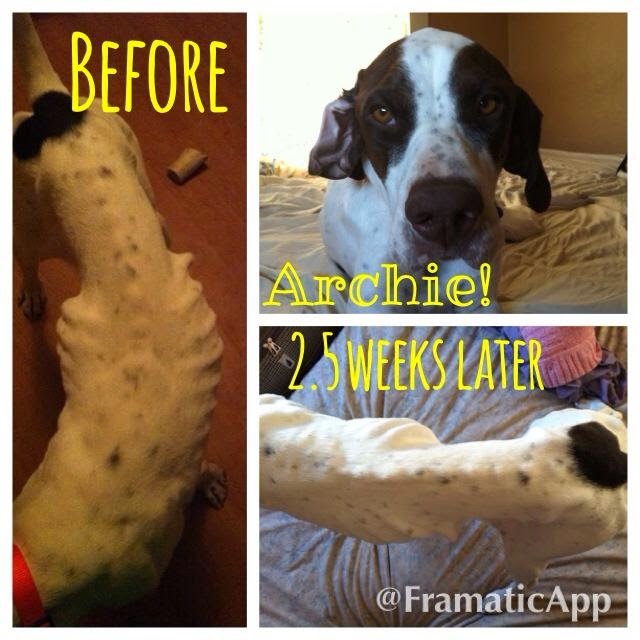 Slowly, but surely Archie is gaining weight and regaining his health! Some of Archie's favourite things: chewing on bones, napping on pillows, looking handsome, and shaking hands! 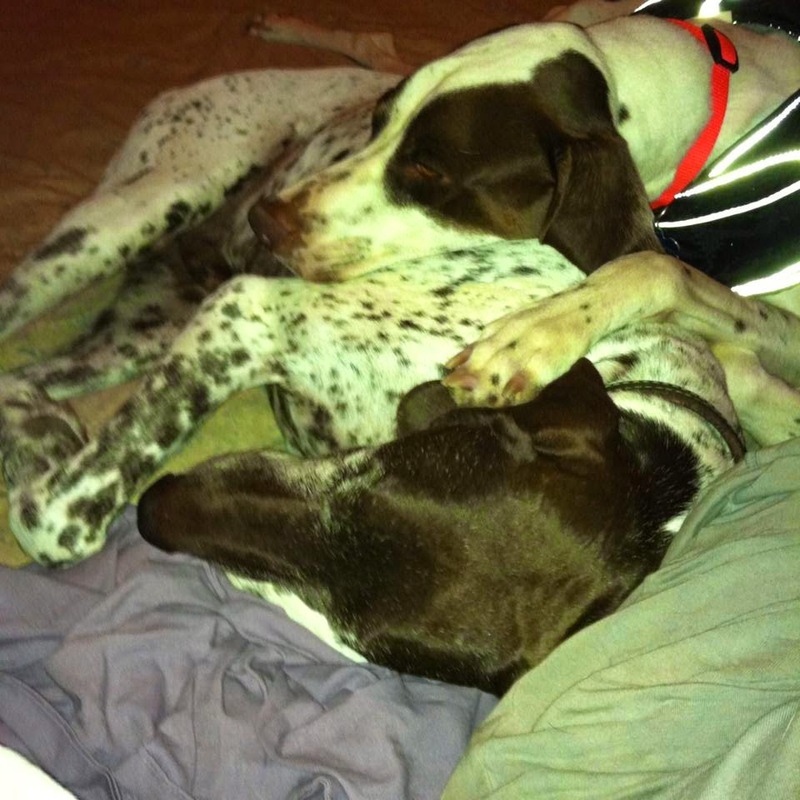 Archie cuddling with his GSP brother Gatsby. Aww! 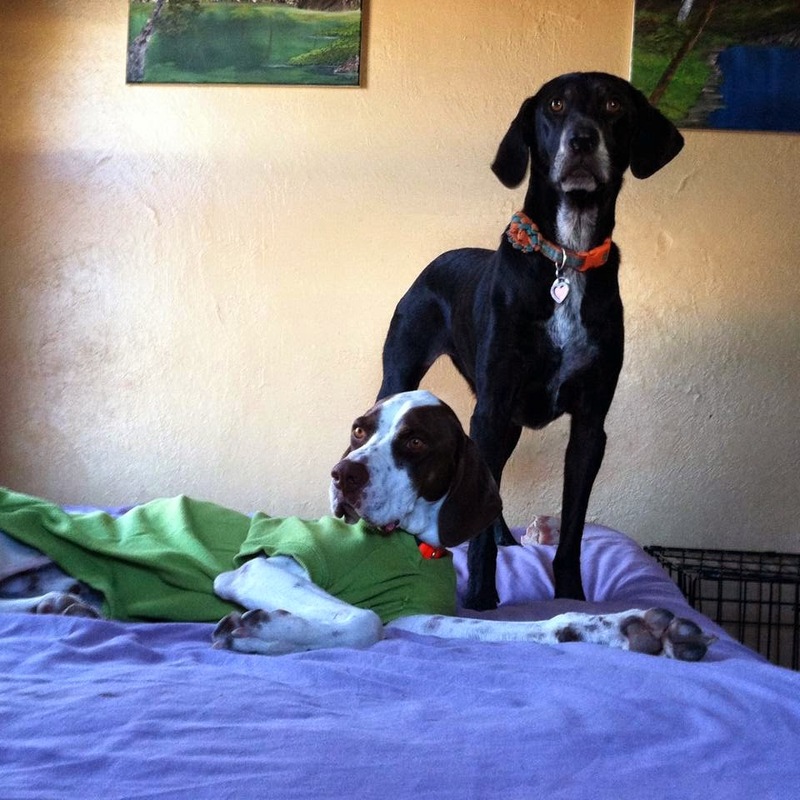 Archie and his pretty GSP/Lab sister Lola! 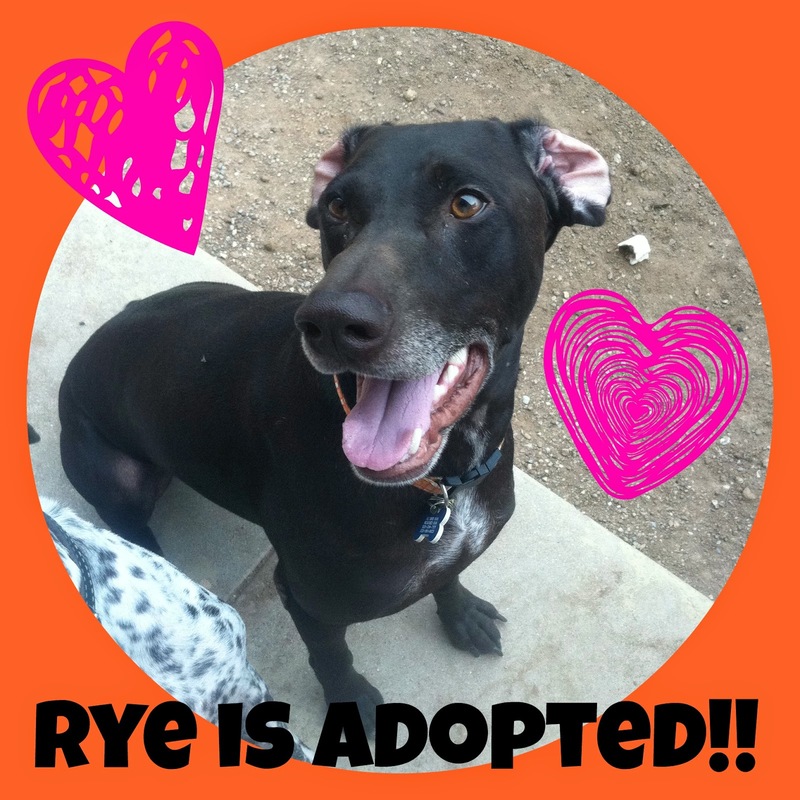 We are so happy to announce that 3 year old German shorthaired pointer Rye has been adopted by an amazing family right here in Tucson! 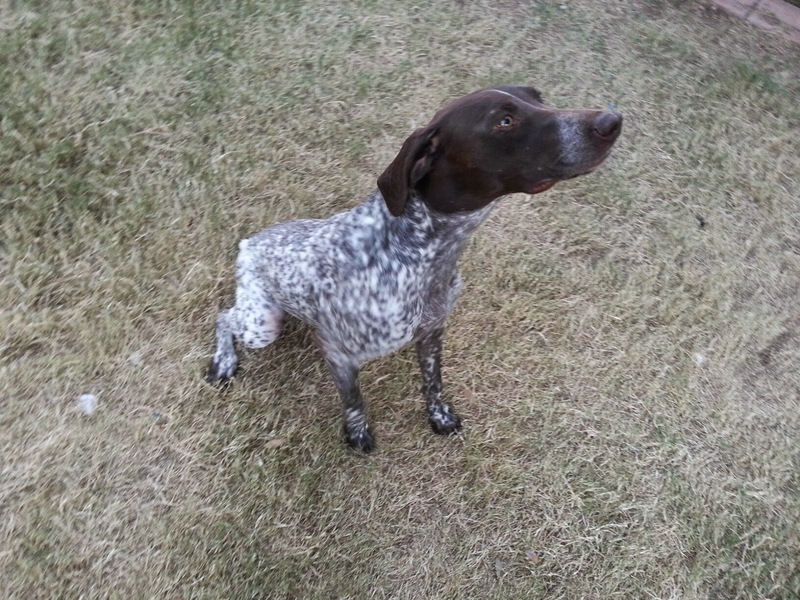 He will have an awesome mom & dad, a human sister, and a fun-loving Queensland heeler brother named Binks! CONGRATULATIONS TO RYE AND THE JOHNSEN FAMILY! 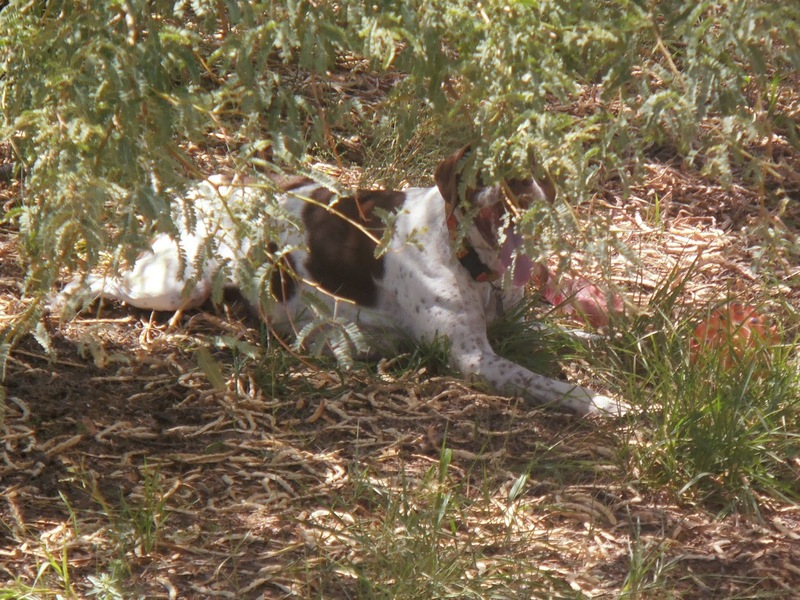 Meet Nicole, formerly known as #A491543, is a purebred liver and white English pointer who was rescued from the Pima Animal Care Center in Tucson, Arizona on August 18th. Nikki, as she is affectionately called, is a small girl weighing in at only 36-37 lbs.! She is definitely what is referred to as a "pocket pointer." Nicole is a wonderful little lady who gets along great with her foster brothers and sisters, takes naps with the cats, and is obsessed with playing fetch! Sadly, Nicole caught an upper respiratory infection called kennel cough during her time at the shelter, but she is responding well to treatment and is already feeling a lot better! Once Nicole has completely recovered from kennel cough and we get to know her better she will be ready to begin searching for her forever family! Whoever adopts this sweet, funny girl will be very lucky indeed! 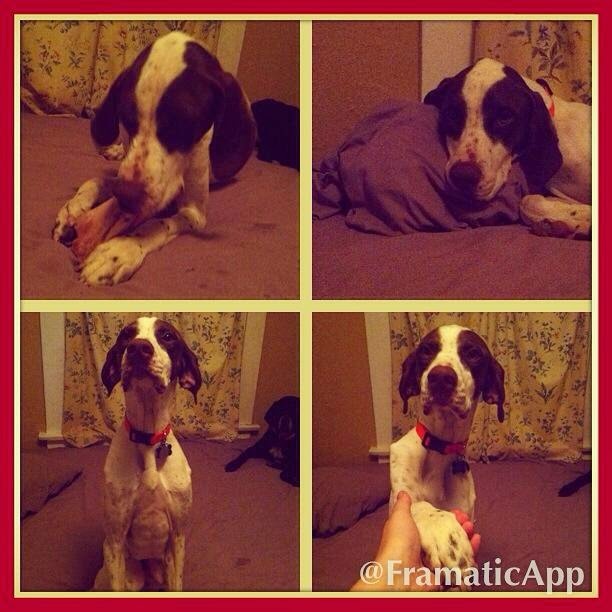 Here are some more photos of her having fun and relaxing in her foster home! 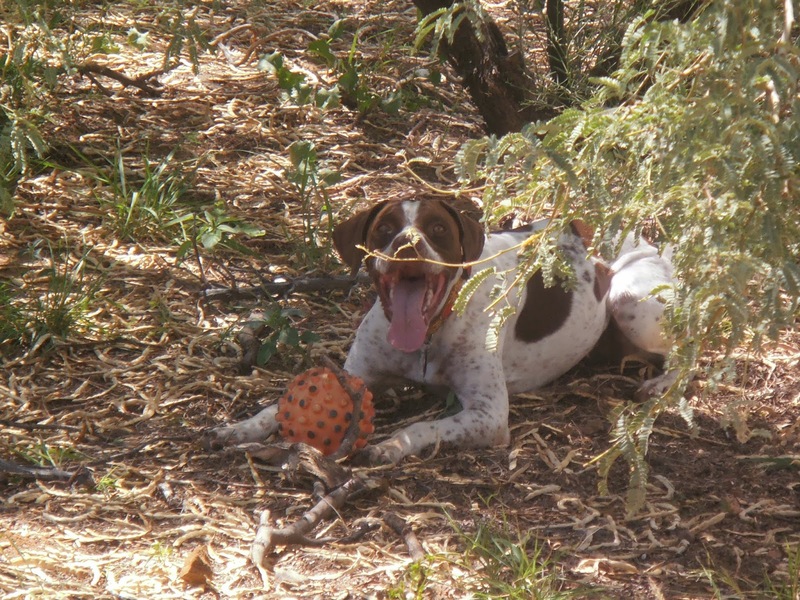 Arizona GSP Rescue is an all volunteer dog rescue organization that saves and rehomes German shorthaired pointers, English pointers, pointer mixes, and other hunting breeds as needed, throughout the state of Arizona. 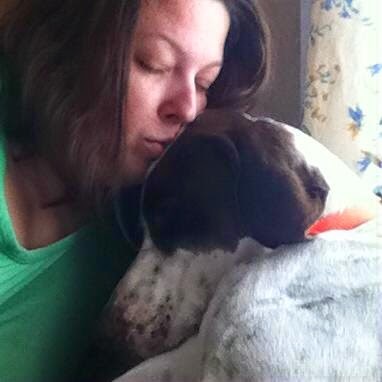 We use a network of foster homes to care for our rescue dogs; we are not a shelter facility.